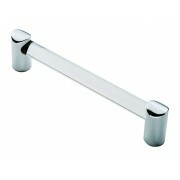 Pull handles and knobs from the Carlisle Brass Fingertip Design range. Replacing the handles is an easy and affordable way to update your existing kitchen cupboard doors and drawers. The Fingertip Design range also includes handles and knobs made from acrylic, porcelain or crystal in their extensive collection. 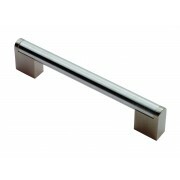 Carlise Brass Fingertip Design Contemporary Acrylic Cabinet Handle 160mm centres, 180mm overall, 41mm projection. M4 Bolt Fix ..
Carlisle Brass Fingertip Design Contemporary Acrylic Cabinet Handle 128mm centres, 148mm overall, 41mm projection. M4 Bolt Fix. 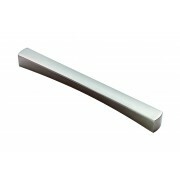 ..
Carlisle Brass Fingertip Design Contemporary Cabinet Handle 14mm dia bar 192mm centres, 232mm overall, 36mm projection. M4 Bolt Fix. Dual Finish Satin Nickel/Satin Stainless Steel ..
Carlisle Brass Fingertip Design Contemporary Cabinet Handle 320mm centres, 360mm overall, Bolt Fix. Dual Finish SNSS. 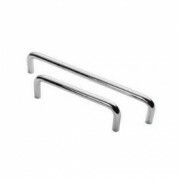 PLEASE NOTE WE HAVE THIS SIZE ON A SPECIAL OFFER PRICE OF £4.95 Plus VAT ..
Carlisle Brass Fingertip Design Contemporary Cabinet Handle 14mm dia bar 256mm centres, 296mm overall, 36mm projection. M4 Bolt Fix. Dual Finish Satin Nickel/Satin Stainless Steel ..
Carlisle Brass Fingertip Design Contemporary Cabinet Handle 14mm dia bar 128mm centres, 168mm overall, 36mm projection. M4 Bolt Fix. Dual Finish Satin Nickel and Satin Stainless Steel ..
Carlisle Brass Fingertip Design Contemporary Cabinet Handle 14mm dia bar 160mm centres, 200mm overall, 36mm projection. M4 Bolt Fix . Dual Finish Satin Nickel/Satin Stainless Steel ..
Carlisle Brass Fingertip Design Contemporary Bar Cabinet Handle 160mm centres, 180mm overall, 41mm projection, 16mm dia. M4 Bolt Fix Brush Nickel Finish ..
Carlisle Brass Fingertip Design Contemporary Bar Cabinet Handle 224mm centres, 244mm overall, 41mm projection, 16mm dia. 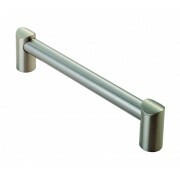 M4 Bolt Fix Brushed Nickel Finish ..
Carlisle Brass Fingertip Design Simple Round Bar Cabinet D Pull Handle Comes supplied with M4 bolt through fixings. Finish Polished Chrome. 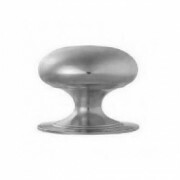 Sizes: 101mm or 152mm centres x 31mm projection x 8mm dia ..
Carlisle Brass Fingertip Design Victorian Cupboard Knob. Made from a single solid piece of Brass and then chrome plated. Supplied with M4 Bolt through Fixings Knob and Rose Diameter Both 38mm Available Polished or Satin Chrome ..
Carlisle Brass Fingertip Design Victorian Cupboard Knob. Made from a single solid piece of Brass and then chrome plated. Supplied with M4 Bolt through Fixings Both Knob and Rose Diameter 50mm Available Polished or Satin Chrome. 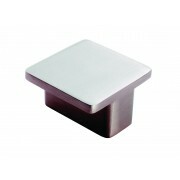 ..
Carlisle Brass Fingertip Design Elias Contemporary Cupboard Knob 41mm x 20mm. 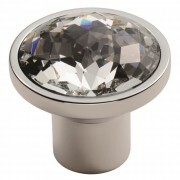 Available in two finishes Polished Chrome or Satin Nickel ..
Carlisle Brass Fingertip Design Contemporary Lead Crystal Clear Facteted Cupboard Knob on Polished Chrome Rose 30mm diameter knob, 21mm dia rose, 43mm projection M4 Bolt Fix. ..
Carlisle Brass Fingertip Design Contemporary Lead Crystal Clear Faceted Cupboard Knob on Polished Chrome Rose 35mm diameter knob, 21mm dia rose, 45mm projection M4 Bolt Fix. 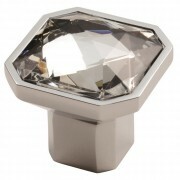 ..
Carlisle Brass Fingertip Design Contemporary Lead Crystal Clear Faceted Cupboard Knob on Polished Chrome Rose 40mm diameter knob, 23mm dia ros, 51mm projection M4 Bolt Fix. ..
Carlisle Brass Fingertip Design Contemporary Lead Crystal Clear Faceted Cupboard Knob on Polished Chrome Rose 25mm diameter knob, 18mm dia rose, 36mm projection M4 Bolt Fix. 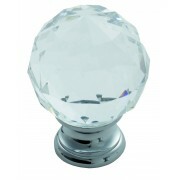 ..
Carlisle Brass Fingertip Design Contemporary Round Crystal Cupboard Knob. 34mm Facetted Crystal Knob Mirror Backed for Enhanced Light Reflection Polished Chrome Surround 18mm dia 36mm Projection Bolt Fix ..
Carlisle Brass Fingertip Design Contemporary Square Crystal Cupboard Knob. 38x38mm Facetted Crystal Knob Mirror Backed fro Enhanced Light Reflection Polished Chrome Surround 37mm Projection Bolt Fix ..
Carlisle Brass Fingertip Design Contemporary Square Crystal Cupboard Knob. 32x32mm Facetted Crystal Knob Mirror Backed fro Enhanced Light Reflection Polished Chrome Surround 31mm Projection Bolt Fix ..
Carlisle Brass Fingertip Design Contemporary Cabinet Handle 224mm centres, 264mm overall, 25mm projection M4 Bolt Fix. 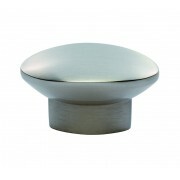 Available in two finishes Polished Chrome or Satin Nickel ..
Carlisle Brass Fingertip Design Contemporary Cupboard Knob 38 x 38mm overall, 21mm projection. 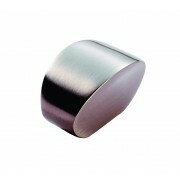 Available in two finishes Polished Chrome or Satin Nickel ..
Carlisle Brass Fingertip Design Novus Contemporary Cupboard Knob 44 x 44mm o/a, 16mm fixing centres, 18mm projection. Available in two finishes Polished Chrome or Satin Nickel ..
Carlisle Brass Fingertip Design Contemporary Cupboard Knob 31 x 18mm overall, 19mm protection. 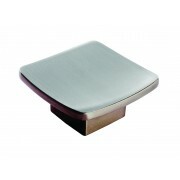 Available in two finishes Polished Chrome or Satin Nickel ..